Hello! Welcome to day 3 of Taylored Expressions February Sneak Peeks! The Creative Team is continuing sneak peeks today. All products will be released tomorrow, Thursday, February 4 @ 7 AM PST. 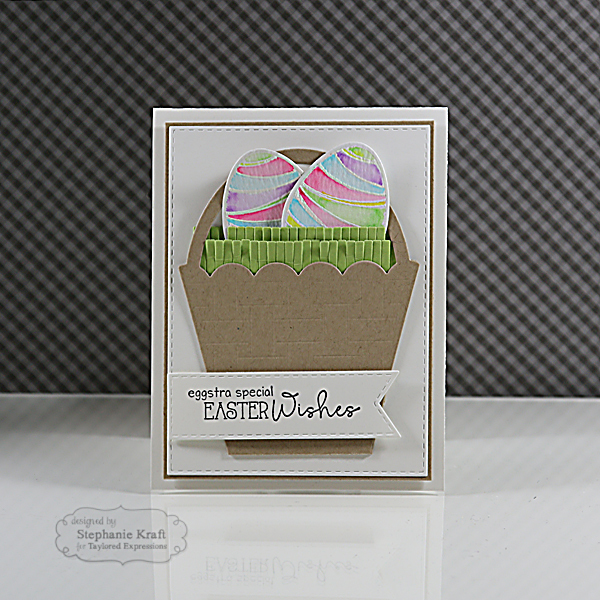 My first card uses the new Easter Wishes stamp set. There are 3 egg images included in this set. They are all really fun to watercolor and coordinate with the Egg Stacklets dies. 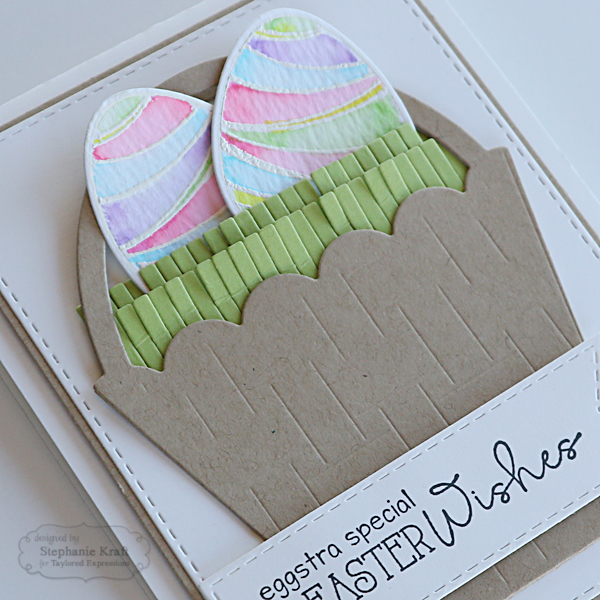 These are the smallest of the 3 eggs and watercolored with Zig Clean Color markers. 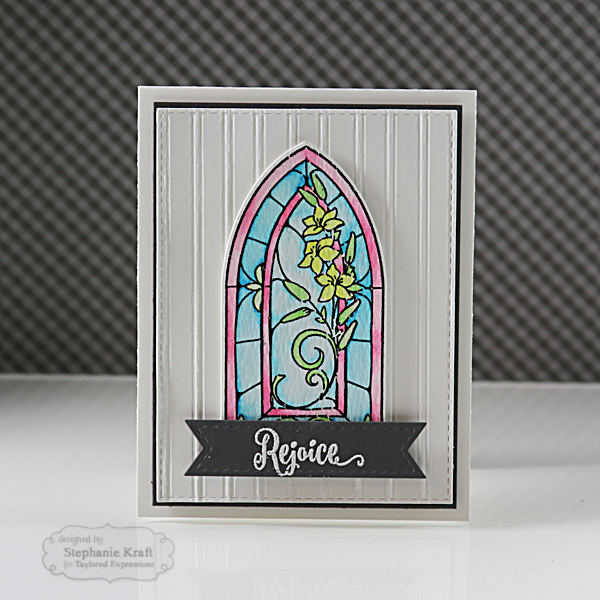 I included these in the Wicker Pocket die and the new Fringe Border. My next card uses Light of the World. I watercolored one of the windows and die cut with Label 5 Stacklets. 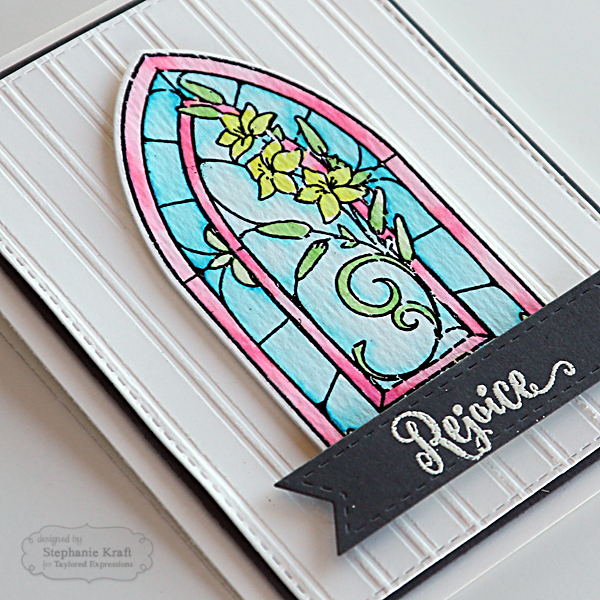 The background was embossed with the Bead Board Embossing Folder. Products in BOLD will be available in the TE store on Thursday, 2/4/16 @ 7 AM PST!